Think you&#39;re the next Messi? Come &amp; prove it! HomesportThink you're the next Messi? Come & prove it! Think you're the next Messi? Come & prove it! 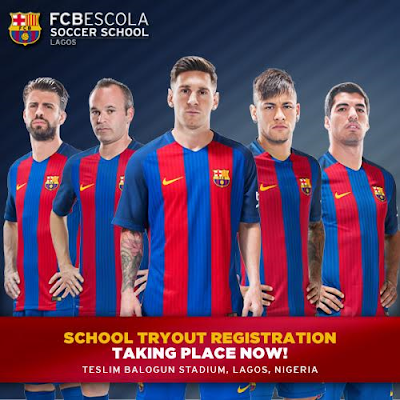 FCBEscola International Soccer School, the official FC Barcelona football school, has arrived in Lagos! And they are sourcing for young talents just like you! This is your chance to be a part of the most prestigious soccer school on the planet, and be a future champion.